There is a change in mindset when kids go back to school. Families get back on a schedule and church ministries normally start up again for the school year. Most children’s and student ministries change it up for the summer. Women’s bible studies take a hiatus. Other ministries continue on, such as mission’s trips and local outreach opportunities. 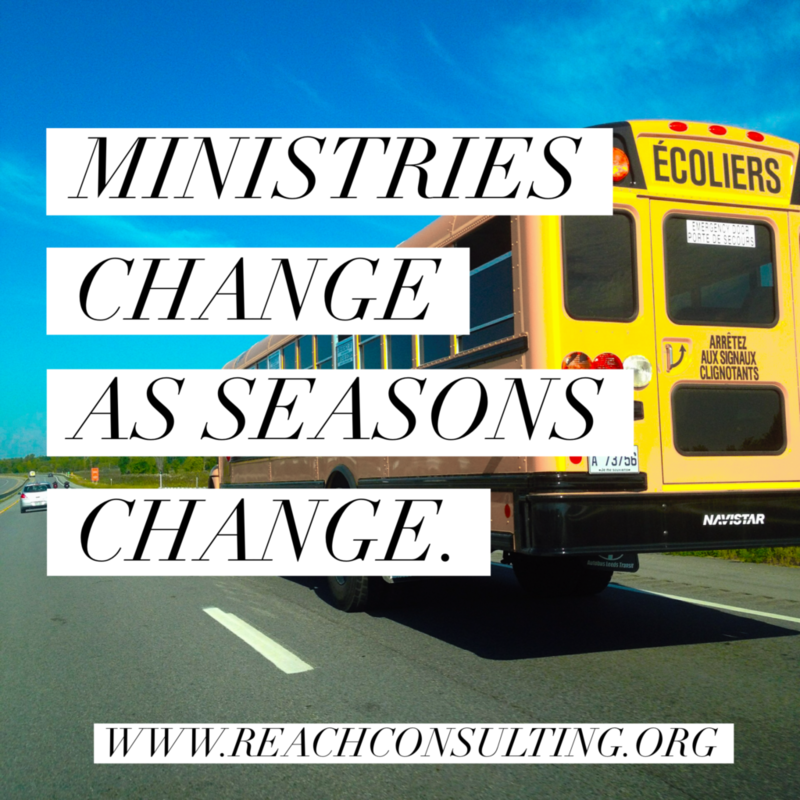 Ministries often change as seasons in your church change. At Reach Consulting, we know that your ministries are unique to your church and the community you reside in. We would love to know how you strategize to decide what ministries will be included in your school calendar vs your summer calendar?